Thinking about contributing to a greater cause but don’t know where to start? Do you love wildlife and want to help them thrive in their wild environments? 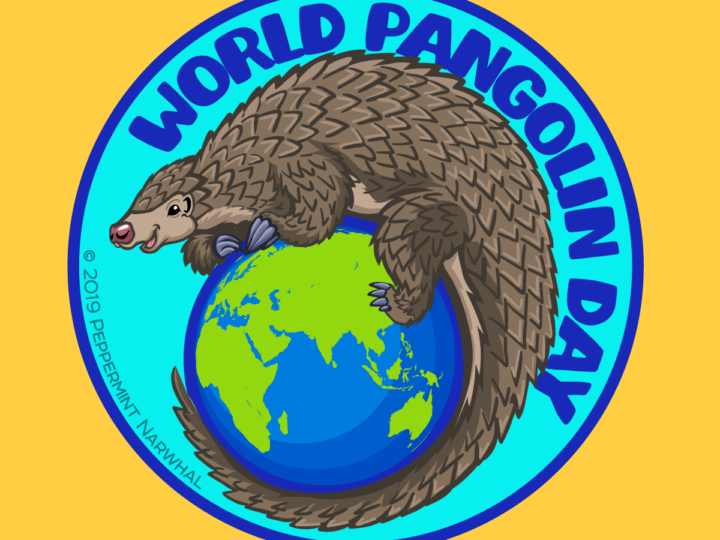 Want to help protect endangered wildlife? 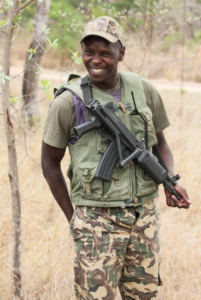 If so, you should consider adopting an anti-poaching ranger! First off, what is an Anti-Poaching Ranger? An anti-poaching ranger is a trained personnel hired to defend wildlife in their most vulnerable state out in their natural habitats. 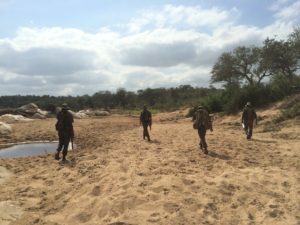 Anti-poaching rangers work on teams called Anti-Poaching Units (APUs). Unfortunately, many animals are at risk in their natural habitats as they can be poached for elements such as their horns, tusks or skin, which can then be bartered at a high value on the black market. Specifically, rhino horn and elephant ivory are high in demand as they are used as a status symbol or for traditional medicine. 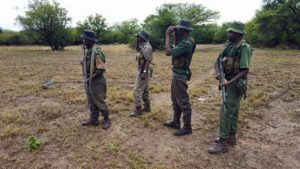 How do anti-poaching units help? 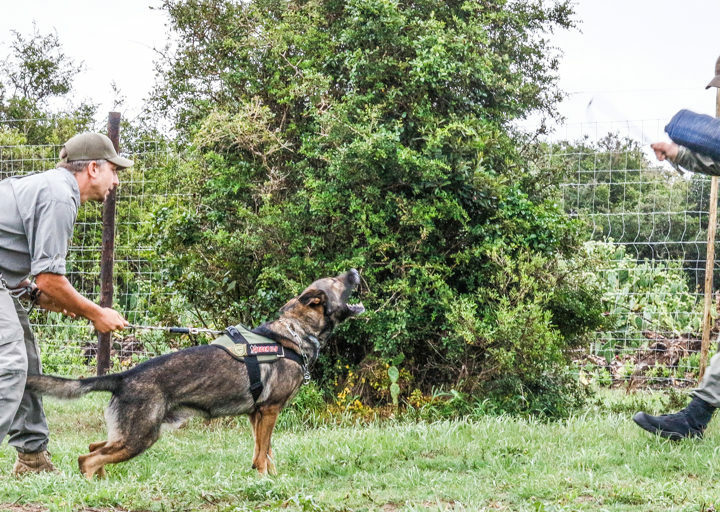 Anti-poaching teams are specially trained in tactical defense to locate poachers and stop them in their tracks (literally!). 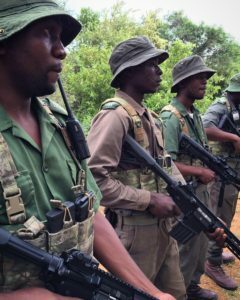 Anti-poaching rangers work on the frontlines to protect endangered species, such as rhino, giraffe, and elephant. They also protect a variety of lesser known threatened species who live within the same habitats. If anti-poaching units can begin to work in more remote areas where species preservation is needed the most, we can ensure that wildlife will be protected for future generations to come. Its simple! 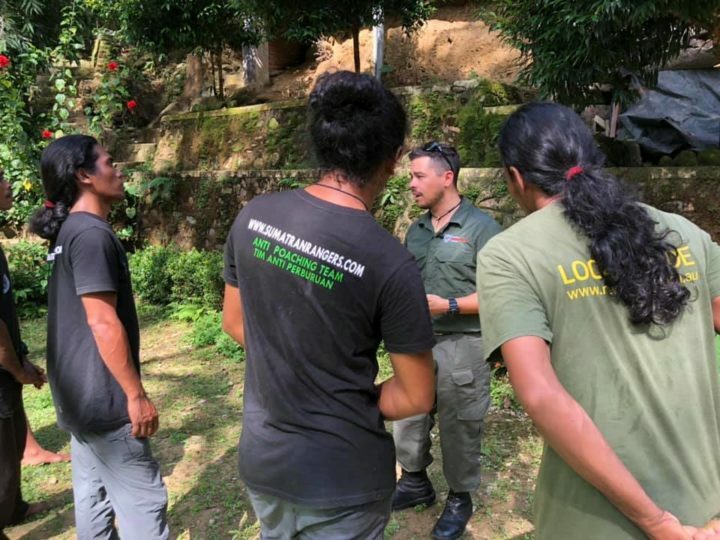 Global Conservation Force will soon be launching our new adopt a ranger program, which will give you personalized profiles on rangers and teams who are in need of support in order to continue to fight on the front lines to end extinction. 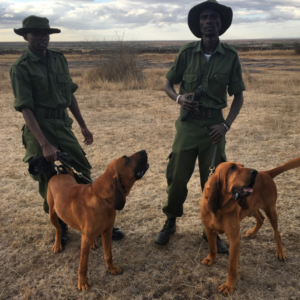 Sponsorships will go towards a variety of goods such as anti-poaching gear, canine unit sponsors, and training courses to help better prepare the rangers for their missions. In addition to being able to personally sponsor a ranger, updates will be provided to keep you informed on how the rangers are progressing within their teams and how your contributions have made a difference! Now that you’ve been given the overview, how do you feel about making a difference? Do you want to create a direct global impact? Are you looking to take action to help protect wildlife? Daily Tasks: Anti-Poaching Rangers that are a part of a “Tactical Team” must be available to go anywhere at any time to do anything. 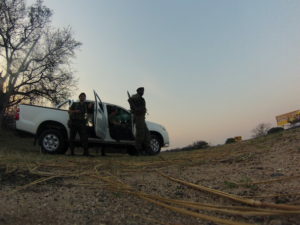 The “Tactical Rangers” stand at the ready to assist fellow Rangers and to supplement patrolling reach with the aid of a vehicle. As well as becoming a mobile roadblock and check station. Daily Tasks: Sergeants and Corporals are the very backbone of any Anti-Poaching Unit. With their experience and countless time in the bush they lead their Scouts and direct their daily missions. Sergeants and Corporals must keep a foot in both the realms of Patrolling with the Scouts and Overseeing Operations. A task that takes its toll on the unprepared. Daily Tasks: Scouts are the eyes and ears of the reserve, always in the bush their job is never finished. Scouts patrol during the day and night and gather intelligence about all the life on the preserve as well as anyone or anything that crossed through it. Being on the front line these men and women need durable lightweight gear to keep them going as long as possible. With this accreditation the ranger has a skill added to his/her resume as well as more job security. 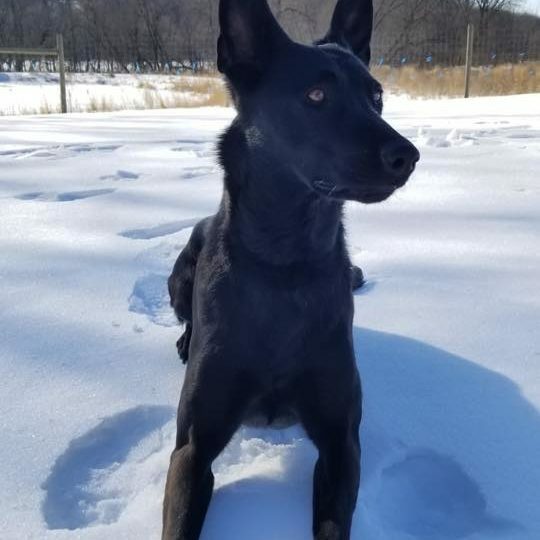 Once they are accredited they can work with any form of working dog within any national park, private reserve, port of entry and/or tactical response team. 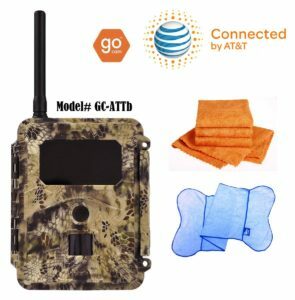 It has proven to be an invaluable asset along with the dogs used to save wildlife. 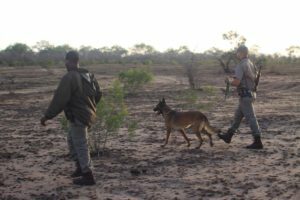 Sponsor an Anti-Poaching Ranger a K9 Cert. 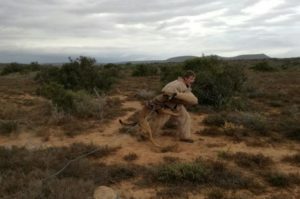 Fully trained Belgian Malinois & Blood Hounds cross bred for hot arid conditions & long distance poacher tracking. Sponsored hands on training for 2-4 dog handlers for 2 months in country. The dogs roles are to assist in tracking, capture and searching for illegal wildlife products at vehicle and reserve checkpoints. These lightweight, durable eyes-in-the-sky offer protection, detection and safety for the ground operators. 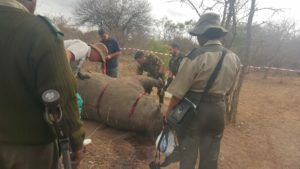 The drones are used for everything from herding animals away from danger, finding poachers, recording illegal activities within the reserves and search and rescue missions for injured rangers or animals. They require electricity to charge and have minimal upkeep in comparison to a helicopter, its pilot and a fuel budget. In the zones we have drones operating we have noticed a decline in poaching activities and a rise in the efficiency of the ground teams. They have live time HD visual of activities just ahead of them to 5 miles away. 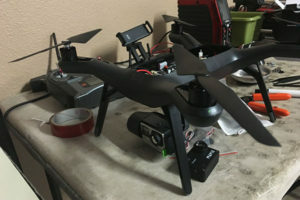 Drone kit includes: Drone, extra batteries, extra propellers, controller, wireless signal enhancer, hard case for safe transport, HD screen for first person viewing, HD cam for live time flight, Flir vue pro (thermal/night vision camera), camera gimbal. Sponsor a camera trap, or several, for a reserve & anti-poaching unit. Each camera trap can capture live-time pictures of wildlife or poachers passing by a fixed location. Camera traps prove to be vital tools for adding extra surveillance in areas of high traffic or under constant threat. When you sponsor a camera trap you will have the opportunity to name the camera/location and receive a picture from the field once a month.